Planning a trip to Barcelona with kids? Spain’s beautiful city is full of fun activities for little ones of all ages! In fact, there are so many family-friendly delights that you may feel a little overwhelmed, unsure where to begin. In that case, keep on reading to learn about 10 kid-tested, parent-approved activities for the whole family to enjoy. At Barcelona’s chocolate museum, there are tons more to do than just eat chocolate. (Although there’s plenty of that to be done too.) 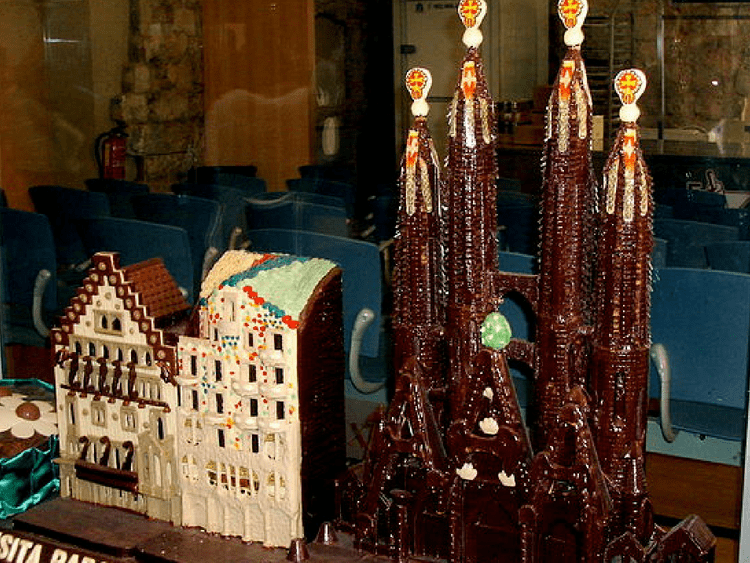 The interactive museum tells the history of chocolate in Europe, shows how chocolate is manufactured and even features the “Sala Barcelona,” a room full of miniature city landmarks made completely out of chocolate. In order to really get your child’s hands dirty in chocolate, consider booking a workshop. One of the museum’s most popular experiences is called “Chocolate Artists” and lets kids make chocolate sculptures and draw with chocolate. However, all sorts of different activities take place throughout the year, so be sure to contact the museum ahead of time to inquire and make a reservation. Poble Espanyol was originally built for the 1929 World Exhibition, this open-air architectural museum features scale reproductions of buildings, squares, and streets typical of different regions of Spain. Artisans pepper the museum showcasing their work live. Plus, you’ll find art by Dalí, Picasso, Miró and more. The museum has a sizable line-up of special family-friendly activities, including comedy shows, concerts, plays, and puppet shows. Another fun activity for children is “El Joc del Sarró,” a treasure hunt where kids race all over the museum, deciphering clues and figuring out puzzles all while exploring the nooks and crannies of the village. 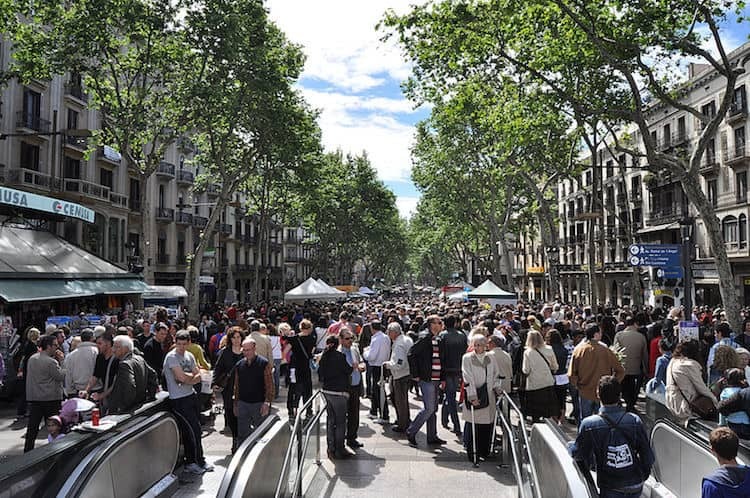 La Rambla is the most famous street in Barcelona, a walking paradise flanked by plane trees and cultural spectacles sure to delight children. While strolling, be sure to stop and get a bite to eat at La Boqueria market. Here, you’ll find vendors selling only the freshest ingredients, along with restaurants in the back that serve tapas made with market items. Kids will also enjoy the street performers, including acrobatics, dancing, and even clowns. Just watch out for pickpockets and the whole family is sure to have a grand time. Citadel Park is one of Barcelona’s best green spaces and is an excellent place to catch a break from the commotion of the city. Bring a picnic with ingredients from one of the markets and enjoy it on the lawn, then let the kids play while you keep an eye from the blanket. Another highlight of this park is the rowboats that can be taken out on the lake. However, they do not have life vests, so this may not be suited for toddlers. 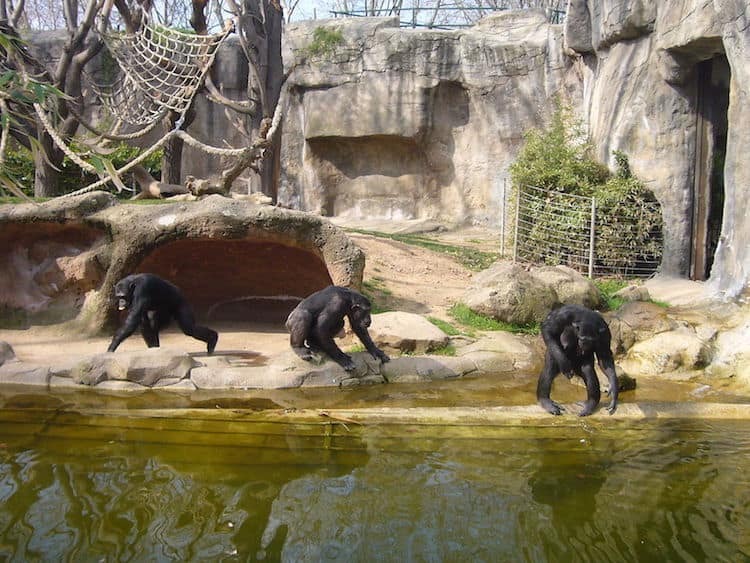 Another major attraction within the park is the Barcelona Zoo. There are tons of different species within the park, including penguins, tigers, rhinos, and more. 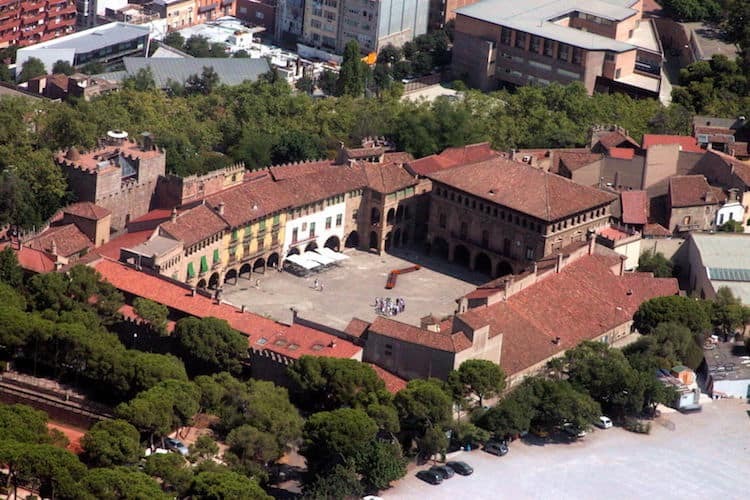 This is a wonderful place to visit with kids Barcelona has to offer! Summertime travelers would be hard-pressed to visit Barcelona without spending a day at the beach. For children, some of the best beaches will be found near the Olympic Village, where the athletes were housed during the 1992 Olympic Games. Nova Icària beach is known for its fun activities, including a playground, volleyball, and ping pong. Water sports are also available for the older children. 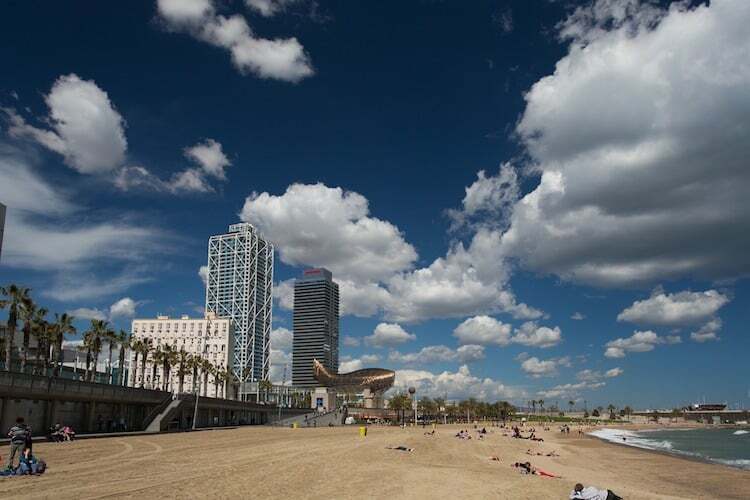 Other famous beaches that you might want to check out include Barceloneta Beach for the drums and sand artists and Bogatell Beach for clean sand and a comparatively relaxing atmosphere. 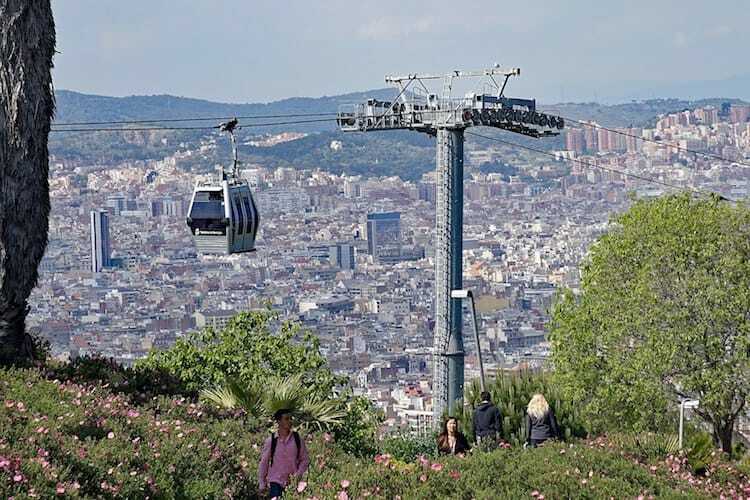 One of the best ways to see Barcelona is from the sky by cable car. The cable car ride offers panoramic views over the city and all the way out to the sea as you climb up the mountain of Montjuïc. The brand new cars can sit up to eight people, so it is perfect for the whole family. The ride is also a hit with new mothers who want to take a load off their feet while their baby lounges comfortably in a baby wrap. The cars will drop you and the family off at Castell de Montjuïc, an old military fortress with 360-degree views of the city. If this is your first trip to Barcelona, then your journey will not be complete without visiting the world-famous Basilica of the Sagrada Familia. 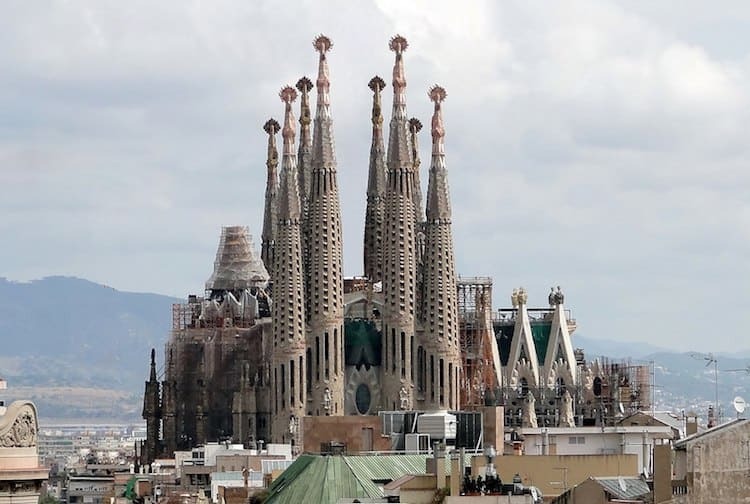 Antoni Gaudí’s architectural feat has been under construction since 1882 and is expected to be finished in 2026, on the 100-year anniversary of the architect’s death. Keep your little ones entertained and the visit quick by taking a 50-minute guided tour. Their good behavior will be rewarded with the magnificent views from the top and, if that doesn’t convince them, there’s always ice cream and other sweet treats across the street. Another unique way to see Barcelona is by boat. Las Golondrinas are boat tours that have been operating in the city since 1888. Departing out of the Port of Barcelona, they offer a variety of different tour lengths and types to suit your family’s needs. Tours tend to run from 40 minutes to an hour and a half. Options include tours of the beaches, the skyline, and even a thrilling speedboat tour. 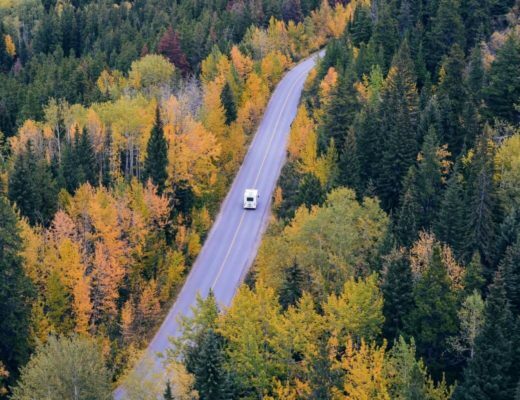 In the summer, they also offer sunset tours with live music. 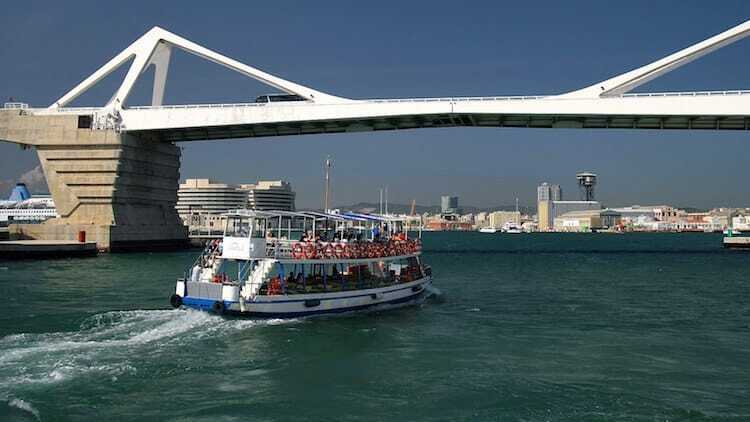 One of the most popular packages available is a boat tour complete with entrance to L’Aquarium Barcelona, which brings us to number nine on our list of activities. 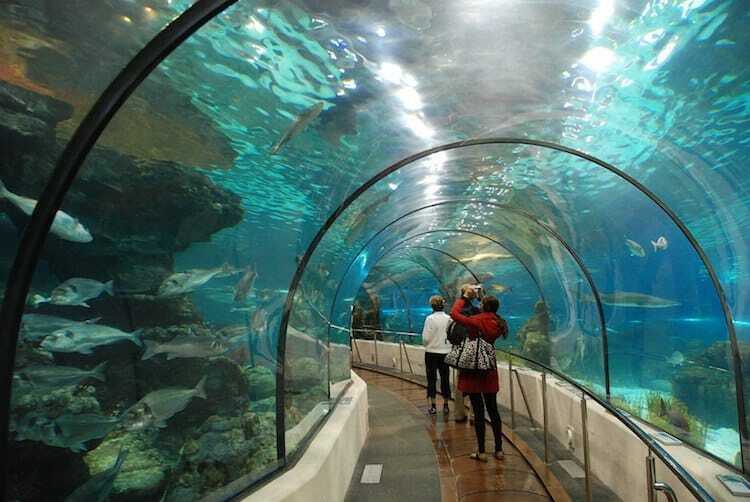 Located in the harbor of Port Vell, L'Aquarium Barcelona is home to over 11,000 animals. The children’s area features interactive activities where kids can touch, see, and listen to marine flora and fauna. Other highlights include meeting the sharks, for kids 6-years of age and over, and learning about marine penguins, for kids 4-years of age and over. This is by far the most favorite place for things to do Barcelona kids love going to! 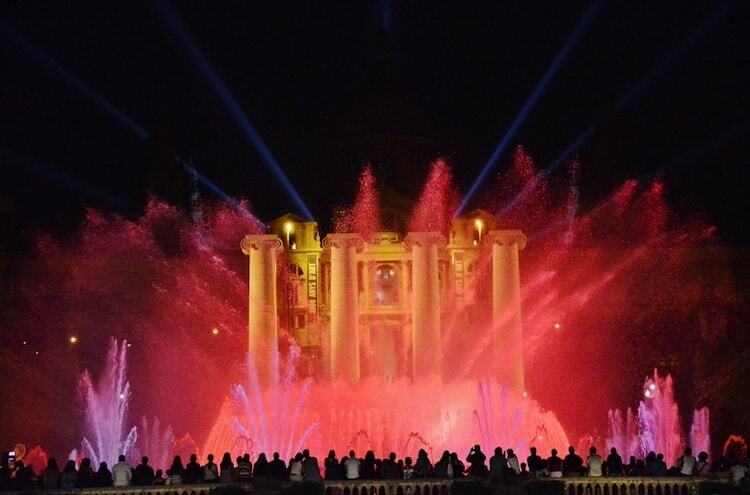 The Magic Fountain near Plaza Espanya is the perfect way to end an enchanting day in Barcelona. Like Poble Espanyol, the fountains were built for the 1929 World Exhibition. On weekend evenings, locals and tourists alike gather around the fountain to enjoy a spectacular music and light show. It’s a certainly a show not to be missed. From museums to parks to cable car rides, there’s no shortage of exciting things to do in Barcelona for kids. 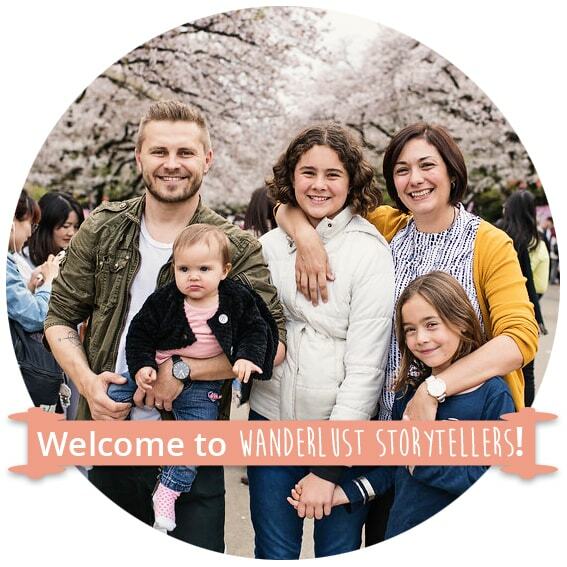 What’s more, it’s a city that caters to kids of all ages, whether you’re traveling with a baby or a teen, or even if you’re pregnant (just make sure you have the right baby gear with you to make your experience as smooth as possible). What’s more, with Barcelona’s robust public transportation and easily walkable streets, getting from activity to activity should be a breeze. Enjoy any of these activities and then cozy up in bed knowing your little ones are far off in dreamland after a fun-filled day. Samara is a VA specializing in SEO and writing, based in Spain. When she’s not chained to her desk working, she likes to travel with her boyfriend, their two kids, and their dog. You can find her blogging over at Tiny Fry and pinning her heart out on Pinterest. 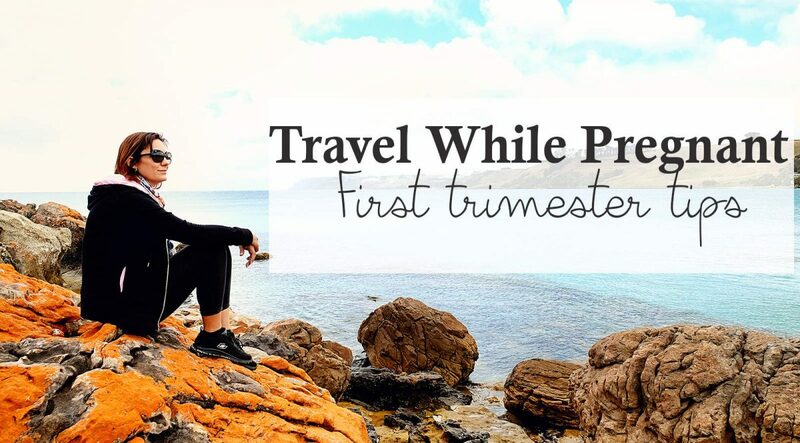 The Ultimate Guide for the Absolute BEST Travel Diaper Bag of 2019!